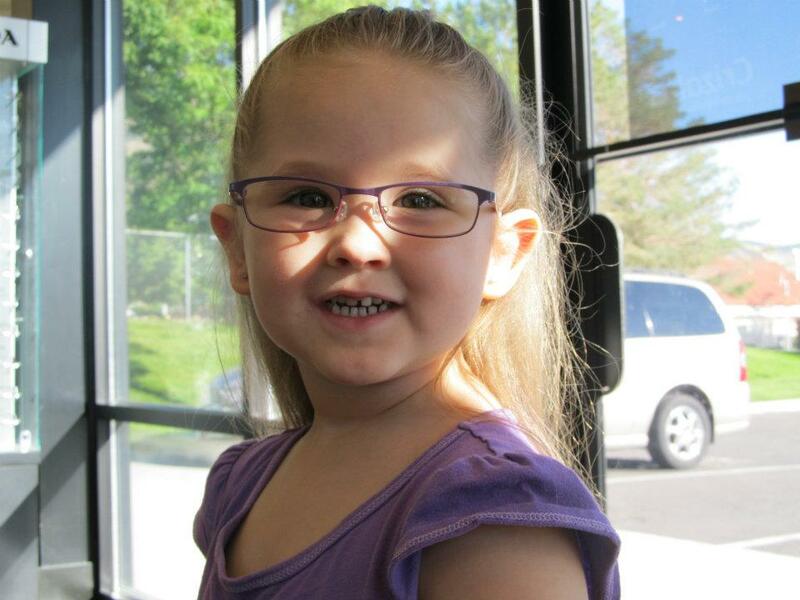 Recently, Kayla Bug got a pair of glasses. My sister promptly posted this picture of Kayla as soon as the glasses were on her face. Kayla kept saying things like "Ohhh, look at the moutians!" "Ohhh, look at the trees!!" It was only due to a Well Child check up did the Doctor find out that she needed glasses. 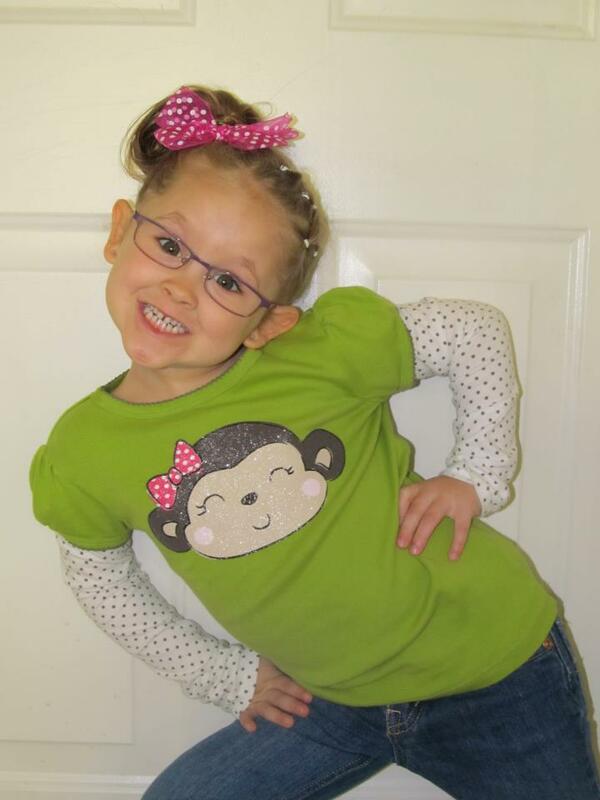 As soon as Heidi Anne saw the picture of her "Best Friend K-Bug" with glasses she wanted a pair as well. I had mine on the table, of which she promptly tried on. She then said "Momma, look, I pretty and have glasses like my K-Bug!" It's funny to see how alike they look! We took Heidi Anne to her Well Child Check- to her dismay her eyes are good (for now). So we got her sunglasses instead. No dice. She borrows mine any chance she gets so she can match her K-Bug.